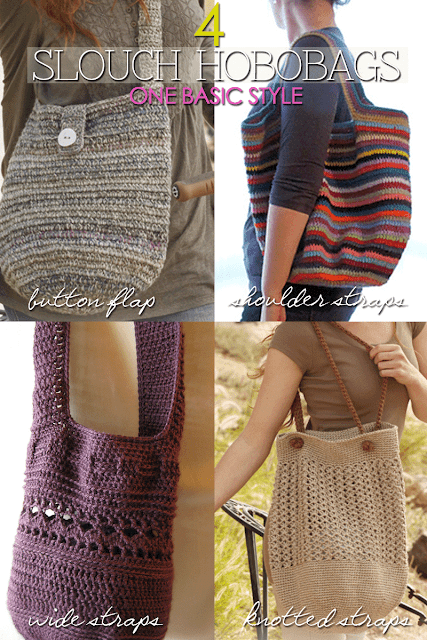 A marketbag by any other name is a Slouch Hobobag. Somehow, marketbag has a strictly utilitarian vibe whereas a hobobag conjures up images of bohemian fashion, definitely one I'd rather embrace. These bags are meant to be casual and fun. The inspiration and patterns above and after the jump range from bright stripes to heathered neutrals, lacy and solid. The handles on the bag not only determines the look of the bag but how it will be used. 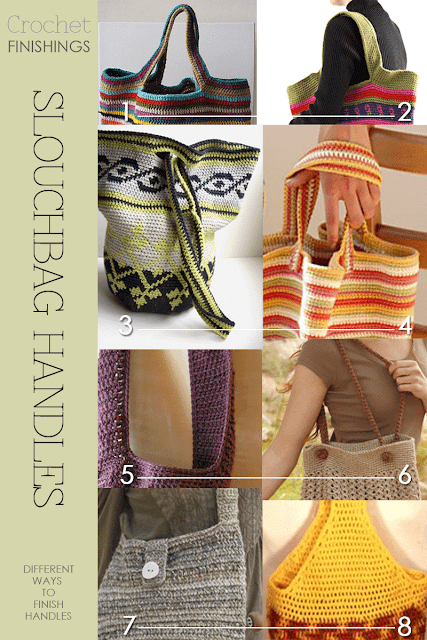 Read further and see 8 different ways you can crochet your handles onto what is a basic, round bottomed bag. Once you have worked the solid bottom, you can work any pattern you like which then can be topped with solid crochet or not. Your choice. The first three examples show where the handles split from the main part of the bag and essentially are created by working chains to the length you want. The adapted pattern for the striped version explains this as well as the drawings in the images illustrated below. You can even decorate the the long loop shown in the second drawing with a tassel or ornament. Handles can be wide as shown in example 5 or shaped as in example 8. A buttoned flap has been added in example 7. The flap can also be the width of the top and much longer without any closures. An interesting design is the knotted handles where the top has 4 little splits made. The straps are braided, crocheted, slipped through the slits and knotted. 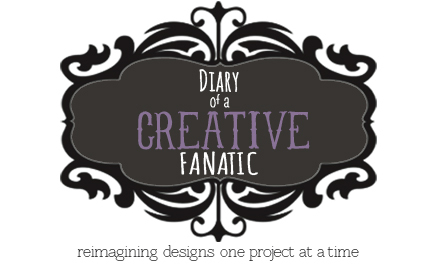 Once you have the basic form, you can design your own unique bag. Und herzlichen Dank für die Links zu den tollen Taschen! Es ist immer ein Kompliment, wenn Sie einen Leser inspirieren, danke. Ich bin froh, dass Sie genießen Sie den Blog!